If you were brave enough to endure the overwhelming traffic and massive crowds that took over Miami this past weekend for Art Basel, it probably did not take you long to realize it was all worth it. The renowned art fair extended over four halls at the Miami Beach Convention Center, showcasing 269 galleries, 21 more galleries than last year, and providing art from more than 25 different countries. Walking around the endless rows of contemporary and modern art, guests entered a world full of colorful, interactive pieces. The works included videos and 3D media, and in one piece, smoke blew out of a picture frame while a video of a woman inside the frame blew out smoke from her joint. Red dots on art pieces signaled that the works had been sold, and the prices that many artworks went for shocked visitors. Across the street from the convention center sat a huge tent for Design Miami. The fair is an architectural hub that brings together furniture, lighting and collectible design. 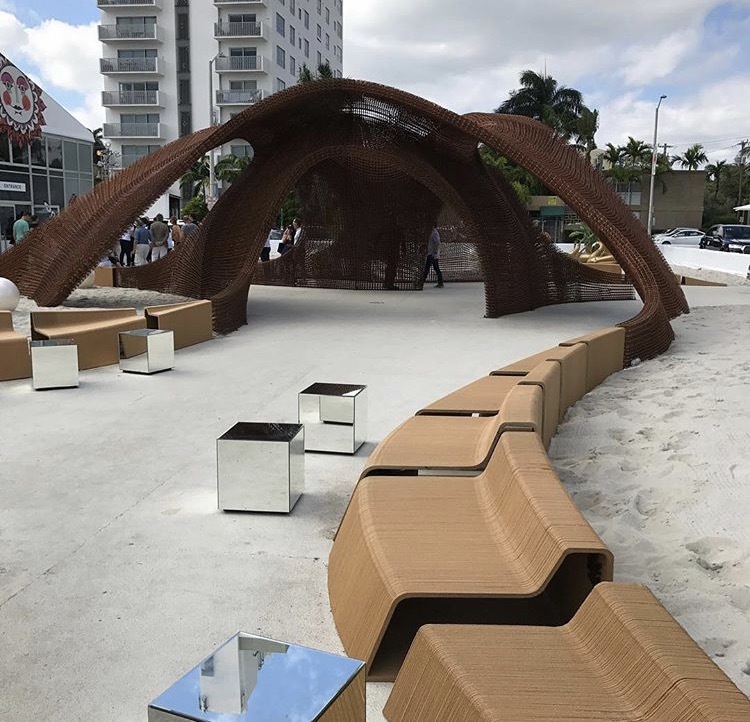 This year, in addition to its famous art and fashion collaborations with Fendi, Louis Vuitton and the champagne house Perrier-Jouet, Design Miami featured the world’s largest 3D-printed structure. 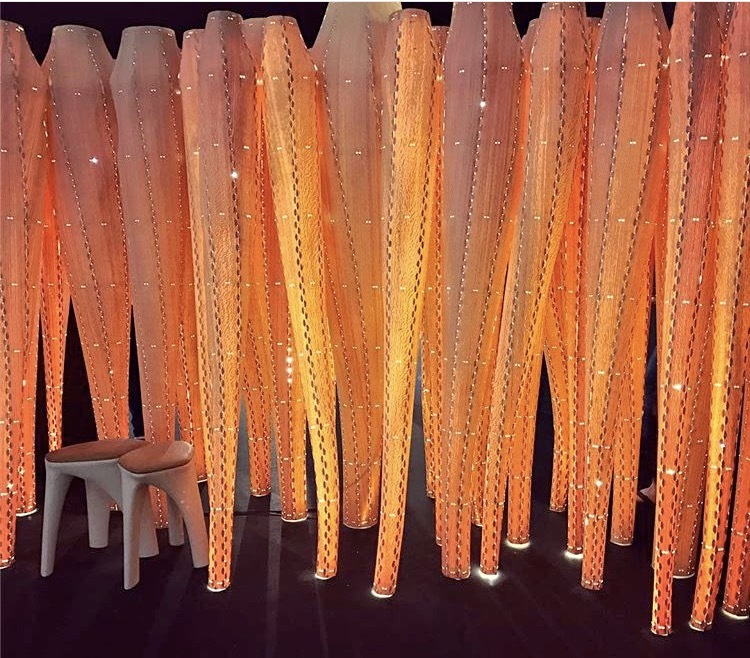 A 1,781 square-foot structure titled “Flotsam & Jetsam,” which translated means “discarded debris,” was made out of biodegradable bamboo and served as the entrance to the art fair. Across the Julia Tuttle Causeway, the bridge that connects South Beach with the Wynwood Art District, was Art Miami, another international contemporary and modern art fair. The art featured at this tent showcased the talent of emerging artists. The theme of globalization was very prevalent, more so in an interactive piece that first depicted a Barbie in a bikini, but if one looked closer it became clear the Barbie was wearing a burka. “The burka Barbie piece was both impactful and kind of gave us a glimpse into the future,” said sophomore English major Lexi Lampner. Both the high volume of people from out of town and increase in people interested in learning more about our ecosystem was why the University of Miami’s shark research and conservation program decided to go to the art fair. They set up their own booth in order to spread awareness of shark tagging missions, among other research missions. During Art Basel, individual and local galleries took the opportunity to showcase both new and established artists. 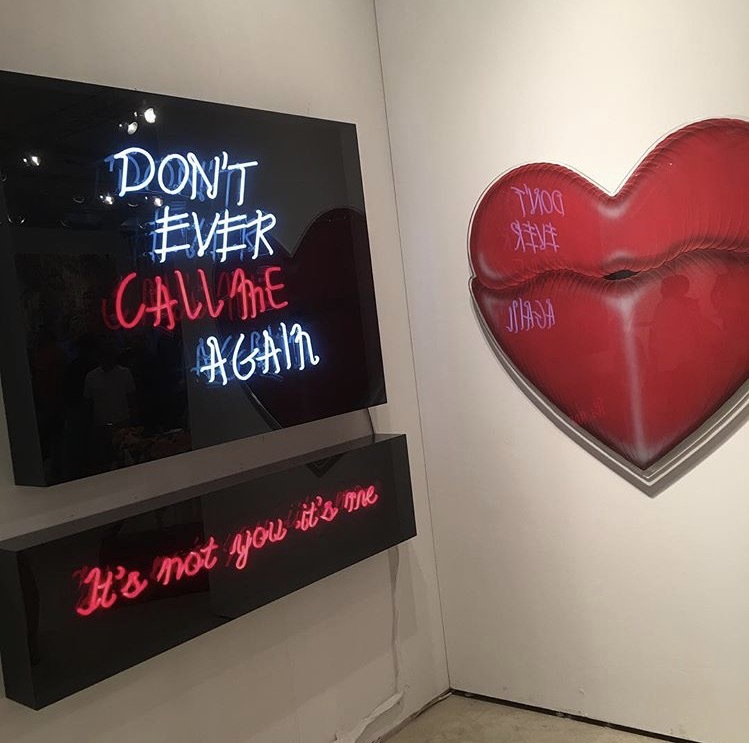 World-famous artist Kai, who has collaborated with Chris Brown and has sold art to P. Diddy and Lil Wayne, installed his new collection, “Modern Relic,” at the Markowicz Fine Art gallery in the heart of the Wynwood Art District. “I wanted to create a way to preserve street art and make the wall the work of art instead of putting the art on the walls,” Kai said. Kai’s art, which incorporated issues we face every day as a society, reflected the overall theme throughout Miami Art Week. With every piece of art showcased last week around the city, there was a sense that the artist was translating current issues into works of art. That is, Art Basel was a perfect opportunity for artists to depict their world and show it to millions of people.